In the last fwe days, sevaral colaborations have been established in Industrial Automation field as automatization of construcction processes and several task for automotion industries. In construction line, the FutureHome project objective is the development of Integrated Construction Automation (ICA) concept and associated to them technologies during all the stages of the house-building construction process, i.e. from architect?s desk to site robots. 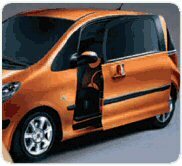 The work in automotion field is nowdays specifyed in PSA Peugeot Citröen Cathedra. The currently goal is to build an automatic classification and quantification system to detect the defects on the metal panels as consequence of the stamping process. M. Abderrahim, Siller-Alcalá, I., Jaimes-Ponce, J., Alcántara-Ramirez, R.